I am so excited to have Catherine Russell here at Paranormal and Romantic Suspense Reviews with a Spotlight, Excerpt and Giveaway. 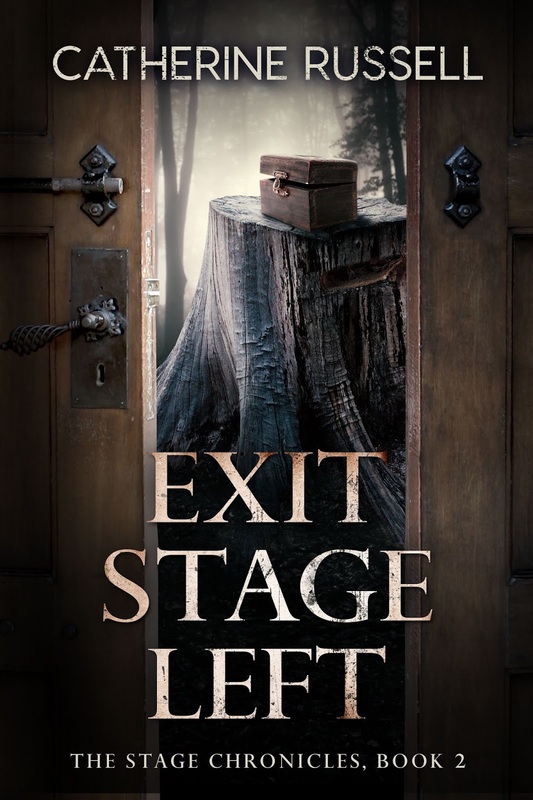 Thanks Catherine and Goddess Fish Promotions for allowing me to join your Exit Stage Left Blog Tour! Please take it away, Catherine! Geoffrey and I stepped into one elevator, the others squeezed into the other. I fumbled with the box as the elevator doors closed. The elevator jerked slightly. Geoffrey had pushed the stop button, and gently took the box from my hands as the elevator halted between floors. I grinned, knowing what he was up to. I reached up to his delicious mouth as his cool palms softly held my face. Whenever our lips touched the link became a hyper wire of electric current. My tongue danced in time with his as his venom flowed into me. Along with my being the mythological link to him, we’d also discovered that I was immune to his venom—but mind you, it still had its drawbacks. Sure, it gave me enhanced senses and physical abilities, but it also made me sicker than a dog if the dose was too big, basically a nasty hangover. Just as his icy fingers skimmed my waist, the call buzzer rang, interrupting our moment. I had about two seconds before he pulled away, so I held him tighter to me, tugging on his delicious lower lip a bit longer, and his fingers grazed the top of my hips, which only made me want him more. Damn buzzer. And I was just getting started, too. He grinned as I tucked my shirt back in. “At least we won’t have interruptions to worry about anymore,” he said aloud as he tucked my hair back behind my ear, sending a small thrill through me. 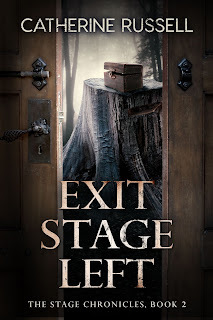 A big THANK YOU to Paranormal & Romantic Suspense Reviews for being the next stop of The Exit Stage Left Blog Tour! It's wonderful to be here! And of course a huge shout out Thank You to Goddess Fish Promotions & my publisher Barking Rain Press for this excellent opportunity! I book I can really get into. Thanks for sharing it with us.